Here is an awesome vintage photo from the 1950’s of the Unity Covered Bridge between Fall Creek and Lowell. In 1890, the first bridge across Fall Creek was constructed by Nels Roney. 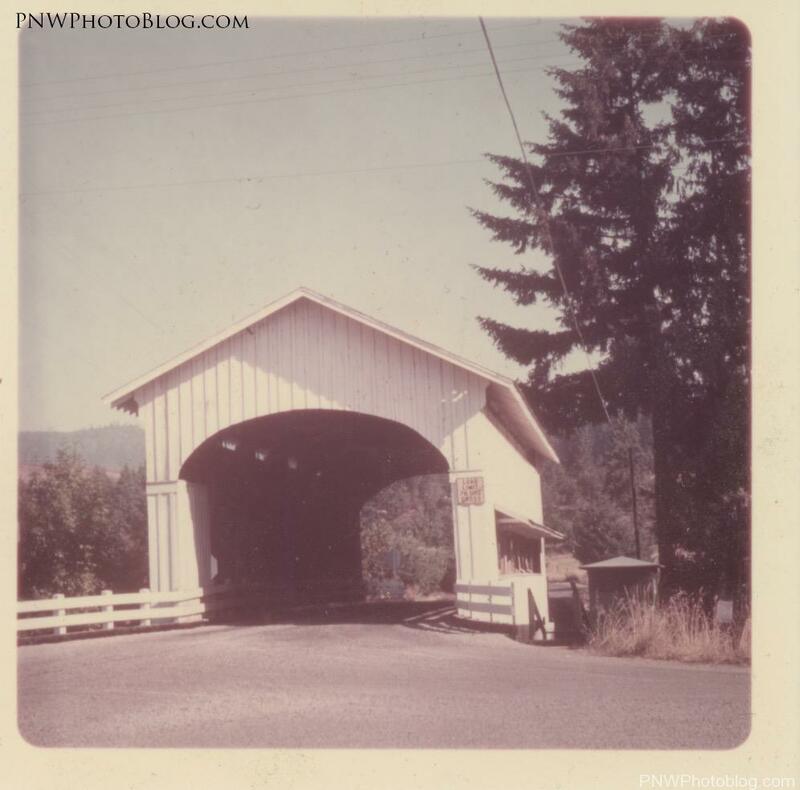 That 129-foot Howe structure cost Lane County $2,925.The original bridge was finally removed in 1953, having served as a foot bridge since 1936. A new covered span was built three-fourths of a mile upstream in 1936 at the community of Unity.The county used a standardized 90-foot Howe truss design but added a full length window in the east side to give motorists a glimpse of oncoming traffic, adding an aesthetic effect to the structure. The county spent only $4,400 in constructing the span.In July 1986, Lane County temporarily closed the bridge for repairs. In addition to replacing the flooring, other work included repair of the piers and guardrails, exterior painting, and removing evidence of vandalism.The bridge crosses Fall Creek just a few miles from the Pengra, Lowell and Parvin covered bridges.Bicycle tours often include this span in their rural routes. : From Interstate 5 exit Highway 58 and travel east to the town of Lowell. Turn left at the Lowell Covered Bridge and continue north through Lowell on County Road 6220 (Lowell-Unity Road) for two miles to Unity.